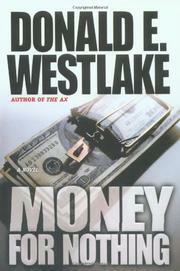 One of Westlake’s many skills is to render the preposterous not only engaging but downright plausible. Josh Redmont, advertising executive on the Cloudbank toilet paper account, is waiting for the weekend ferry to take him to the family vacationing on Fire Island when a stranger sidles up to him and blurts, “You are now active.” Oops. It’s payback time for those monthly $1,000 checks Josh has been receiving for the past seven years from an untraceable concern called United States Agent. Only it’s not the USA who wants him to be a spy, but foreign nationals determined to assassinate the premier of Kamastan when he acknowledges an Olympic award at Yankee Stadium. Josh’s New York apartment will be used as a safe house to stash munitions, security-detail costumes, sharpshooters, and slinky Tina. But Josh is scheduled for elimination himself once the premier is history. While he wrestles with the sometimes conflicting orders of Levrin and Nimrin, he comes upon another naive sleeper agent now activated, off-off-Broadway actor Mitch Robbie. Using cunning, guile, stage props, and a facility for dialects, the two turn the tables on their handlers—though not before the genial chronicler of the Dortmunder gang (Bad News, 2001, etc.) morphs into his more savage alter ego Richard Stark (Breakout, 2002, etc.) long enough to litter a Port Washington enclave with corpses. Who can resist an assassination plot that hinges on costumes straight out of a Rudolf Friml operetta, a spy who loves Saks, an actor who delivers the best lines, and a cagey author twisting logic until it cries uncle?